Those of you who know me well will know I’m a bit of a perfume junkie. It’s a habit whose origins lie in the gift of tiny bottle of Eau de Cologne from my grandmother when I was eight or nine and a little later, the remains of a bottle of Tweed – I was hooked. It’s not just the scents but the ornate packing; I will own up to acquiring bottles just for their shape and not primarily for their contents! Chanel 19 is my favourite daytime scent with Opium for special occasions. The Middle East is where the art of perfumery was born and here in Bahrain it’s a perfume heaven. Every shopping mall has stalls and more than a few shops dedicated to the art, enticing passers-by with burning frankincense. Each offers a dazzling array of the most fabulously decorated bottles of every shape and size. Gold, silver and pewter clad glass phials decorated with beads or ornate pictures, they beg to be handled. Initially I viewed them all from a distance sure that these wonderful objects would be beyond my budget. But wafts of entrancing smells caught in passing from both women and men tempted me to explore. And I soon found that some of the most exotic heavy scents which are my preference are quite affordable, considerably cheaper than my Chanel addiction. So my bottle collection has expanded just a little. The girls (and occasional man) running the stalls are always quite approachable and often knowledgable so I can happily while away 30 minutes discussing ingredients, smells and bottles. 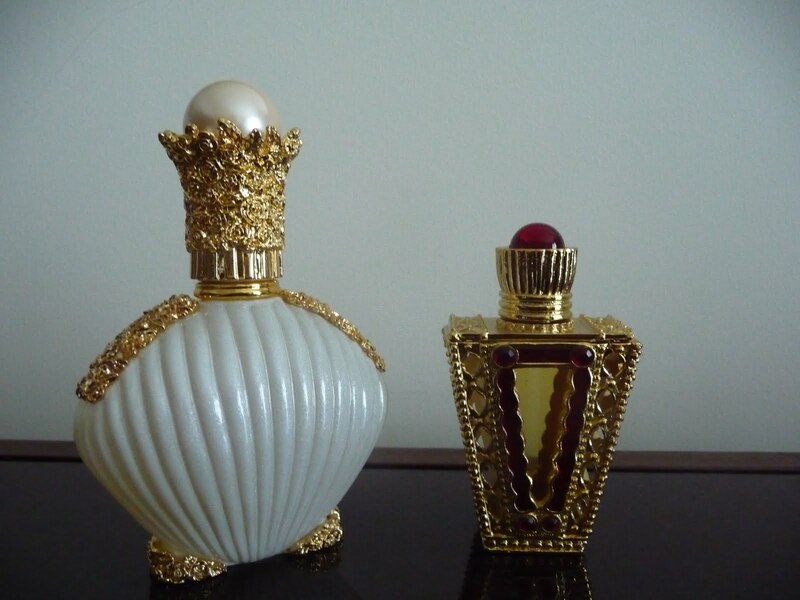 My latest rediscovery is of solid perfumes. I remember these from my teenage years as free gifts in tacky plastic containers given away with magazines like Jackie but useful to shove in a pocket. At the weekend Kevin indulged me with a little compact shaped like a basket of flowers containing a solid fragrance from one of the stalls in Dana Mall after I’d spent some time exploring the various scents; rose, oud, strawberry, “baby” (a lovely waft of newly bathed and powdered skin), patchouli and more. 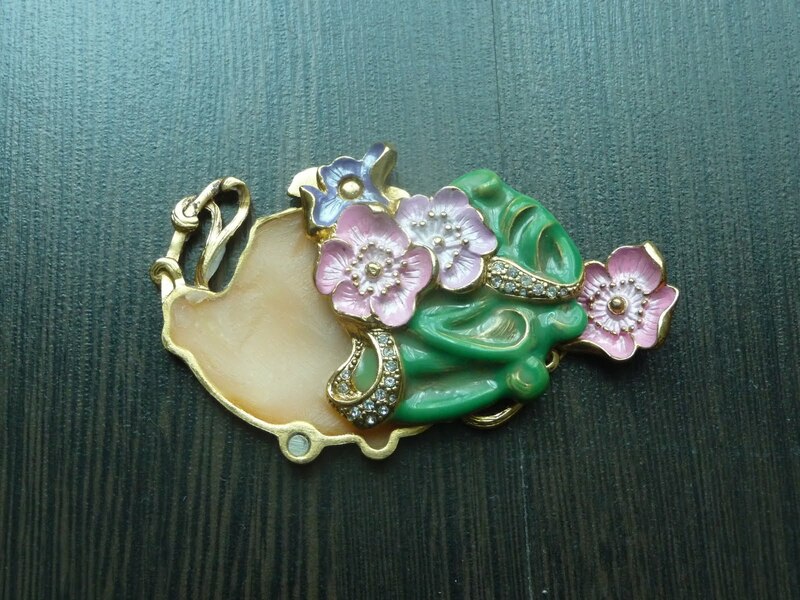 The enamelled compact could double as a paperweight so rather heavy for my pocket but delightful to handle with a small pink flower dangling off one side and lid that rotates to reveal a delicious sweet but heavy, patchouli and chocolate concoction. I smell like a box of chocolates!